ELEGANT 2300SF Penthouse Condo! NO shared walls-TOP floor! Quiet, Scenic, PRIVATE. 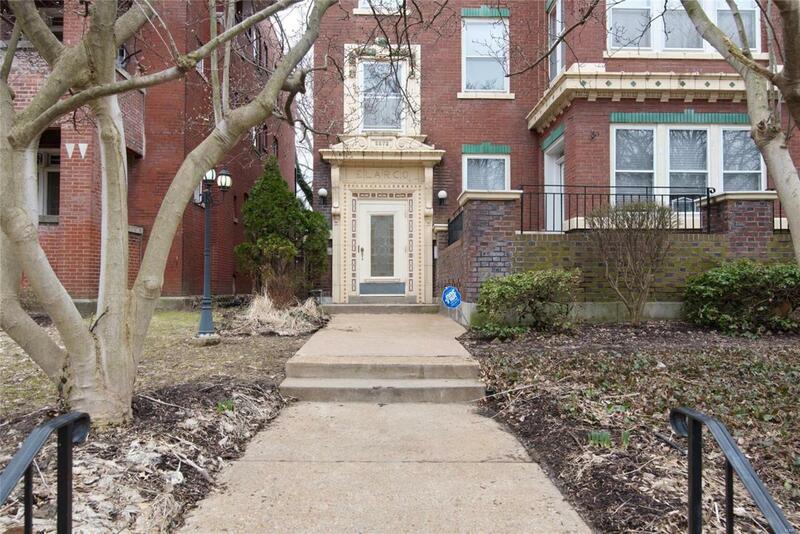 Graced w/NATURAL light, Onyx foyer floor, Soaring 10FT ceilings & crown molding! 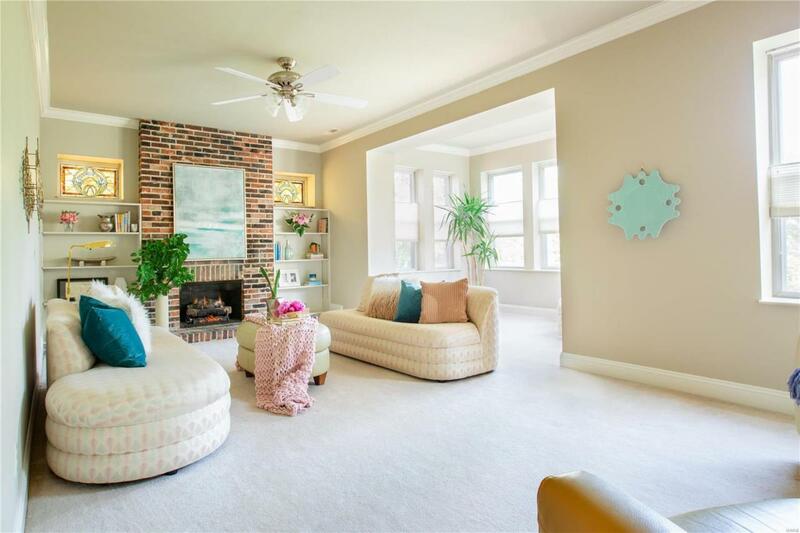 LR has GAS fireplace, Built-ins, Stain Glass & SUNROOM. Vintage Wet Bar tucked into large DR; CHEF-WORTHY Kit boasts Custom Cabs, Granite, large sink&disposal, SS appls & granite window seating or buffet! Laundry off Kit holds Full W/D. Luxury Baths w/custom Master height vanities, Honed MARBLE tops & tile floors. HUGE Master SUITE boasts Bath w/original stain glass; huge tub for soaking away the day; DEN w/ 2-person built-in desk overlooks lot & yard. TONS OF CLOSETS! GRANT AVAILABLE for WU and BJC employees. See: https://lnyw.wustl.edu/Addtl secure STORAGE in basmt. Tenant-only backyard greets you at SECURED gated parking. Building circa 1913, with complete renovation in 1979. NO elevator. 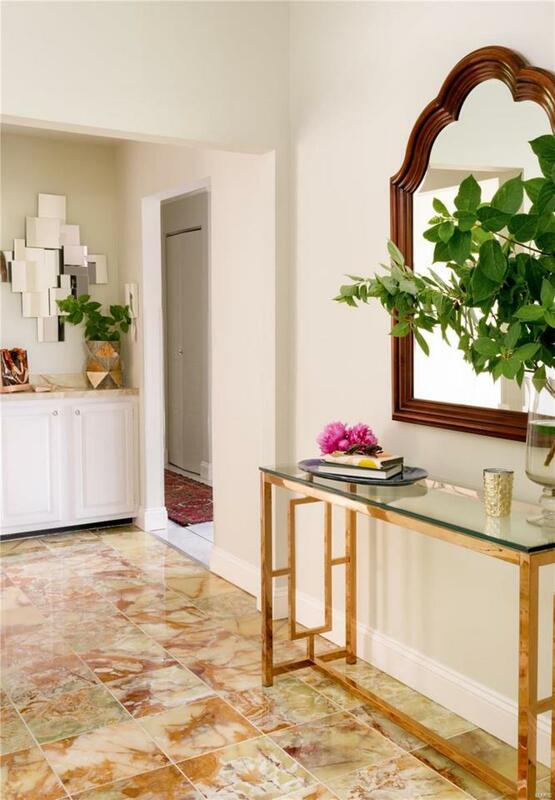 Vintage entry w/mosaics, glass, marble slab walls. 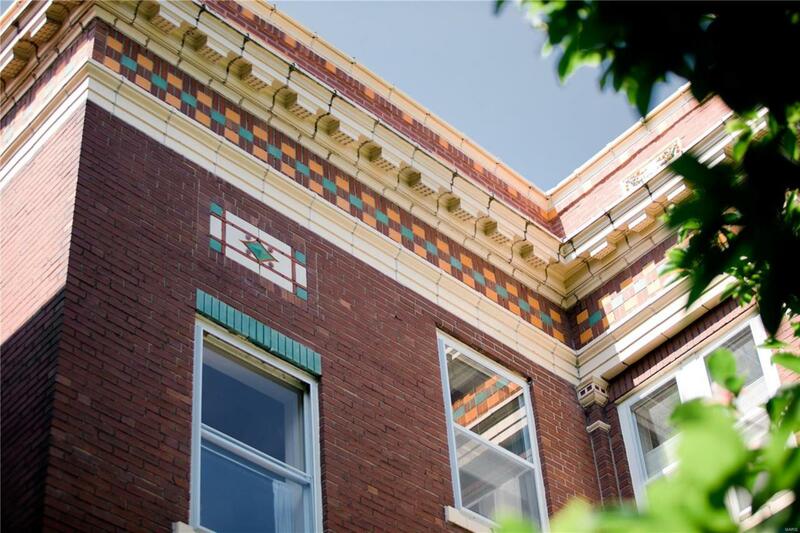 Only 4 units in bldg.Walk toForest Park, Loop, shops! SS FRIDGE, WASHER, DRYER! !